When you’re preparing for your first kickboxing class, there are some steps you should follow to maximize it. 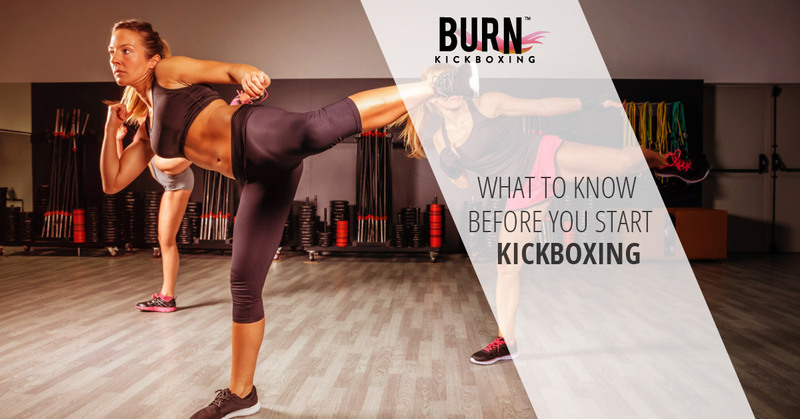 We’ve gathered helpful tips for what you should know before you start kickboxing. When you’re ready to get started, call us at Burn Kickboxing here in North Syracuse. Whether you want to increase your strength or boost your endurance, our talented trainers want to help you achieve your goals! There are many martial arts that fall under the kickboxing banner, with their own training and discipline setting them apart. Some styles of kickboxing include Pradal Serey (from Cambodia), Lethwei (from Burma), Yaw Yan (from the Philippines), and possibly the most popular, Muay Thai (from Thailand). Unless denoted by a specific style, kickboxing in the U.S. typically blends boxing and karate, which prohibits strikes with anything but hands and feet. Attacks to an opponent’s groin, legs, or back are also off-limits. When you are starting an exercise program, it can be easy to let your goals get out of control. You may have a lot you want to improve, but a massive checklist can look so daunting that it can be too much to take on. Instead, focus on one goal and proceed from there as you progress. This can be anything from increasing your strength or improving your cardiovascular health to learning how to competitively spar. Depending on your first goal, you should be able to find a class that has a focus that helps you along your way. Some classes are more dance focused, while others are dedicated to actually fighting, though if you don’t want to get hit, that might not be the best choice for you. Once you know what goal you want to focus on, you can begin your search for the best class to take on. It’s important to consider your learning style when choosing a class. We discussed previously the benefits of group exercise, though you may benefit more from one-on-one instruction with a personal trainer. Speak with the different instructors to see who’s training style fits your needs. It will be much more difficult for you to find success if you’re working with a trainer that doesn’t match well with you. Many classes will allow prospective students to observe a session to see how the regimen works before they sign up. No matter your fitness levels, it’s important to know what you’re capable of before you start. If you push too far beyond your abilities, you’re more likely to suffer an injury. While you may feel like this is delaying your progress, safely working up toward a goal is much better for you than immediately jumping the important steps in between. Think of your fitness like a house; when you start with a strong foundation, it’s much easier to build on top of. It’s not like you can build a house by starting with the roof! Depending on the class you select, there may be equipment that is required. While some classes offer equipment that can be rented, you may want to purchase your own. Ankle supports, boxing gloves, and headgear are all possibilities, though much of that depends on if contact is being made when training. As far as what you should wear, stay away from clothes that are too baggy or too restrictive. Most activewear works perfect for this, so we recommend leaving the comfy sweatshirt at home. Women are recommended to use a quality sports bra; you’re going to be very active, so support will be necessary. You’re also going to want a good water bottle and a towel to wipe away the sweat you’re going to work up. One of the biggest downfalls of many prospective fitness routines comes when nutrition and hydration are ignored. It’s important to give your body the fuel it needs to get through a workout. Quality carbs like beans, brown rice, or sweet potatoes (skip the marshmallows, it’s not Thanksgiving), digest slowly to give you energy as you exercise. Add in some fast-absorbing carbs like juice or fruit 30 minutes to an hour before your workout to give you an extra boost. When you’re properly fueled up, you will be able to keep oxygen in your bloodstream and maintain your energy levels for longer. However, it’s not enough to just eat well. Without proper hydration, your body will not be able to stand up to high levels of exertion. Make sure you’re completely hydrated before you start working out. Right before your first kickboxing class, you’re probably going to be pretty excited. It’s great to be excited! However, instead of running in there guns blazing, try some meditation before you start. When you focus on mindfulness, you will have a better grasp of the space your body takes up in the world. That helps you improve your focus and reaction times. Take a look at the many centuries-worth of martial artists who have included meditation in their regimen. Achieve a greater level of discipline with meditation and we think you’ll see pretty incredible results. Try meditation both before your workout to get ready and after to help with your cooldown routine. You’ll also see a boost in your breathing control, which helps throughout any exercise. Don’t skip the warm-up. When you’re limber and loose, you’ll avoid injury and be ready to move like a ninja. Focus on your form, not your speed or power. When you have perfected your form, speed and power will follow. You are the only competition you need to worry about. Don’t focus on what your classmates are doing. Just try to be better than yourself from last week. Cool down and stretch after you’ve finished working out. Due to kickboxing’s reliance on flexibility, stretching is paramount to recovery and success in the next workout. Whether it’s your first kickboxing class, or you’re just trying to get back on that fitness horse, these steps will help you get where you want to go. However, what is just as important as these steps is finding the right kickboxing gym. If you’re in the North Syracuse area, there’s no better place to go than Burn Kickboxing. Our talented and friendly instructors will work with you to achieve your goals and even more. We’ll help you every step of the way. From setting your goals and implementing a nutrition plan to working alongside you to reach those goals, our trainers only want to see you succeed. They are going to give you the tools and knowledge you need to see the change you want. We hope to see you soon!